On a brutally hot day more conducive for taking the sail boat out than playing football, Severn School opened its season Friday at home with Annapolis Area Christian school, in Olde Severrna Park, and the host Admirals sailed to a 27-20 victory with junior Dylan Gergar at the helm. Severn took the non-conference victory between the two MIAA teams, the Admirals of the B conference and the defending C Conference champion Eagles in what seemed like 100-degree heat index conditions, played over nearly three hours. Gergar’s 38-yard field goal in the final period tied the game at 20, after his 33-yard 3-pointer had given the home team a 17-14 lead in the third quarter. The 5-foot-10, 185 pounder also raced back a pick-six midway through the last 12 minutes and followed it up with his third extra point kick of the game for the winning margin. “Dylan showed he is a helluva lot more than a kicker and that pick-six was icing on the cake,” said sixth-year Severn coach Chris Kirchenheiter of his talented 11th grader who works overtime for the Admirals as their place-kicker, punter (last year’s graduated), wide receiver, linebacker and strong safety. Gergar, who booted 10 field goals as a sophomore, gives Severn that all-important luxury weapon that he hopes will see the Admirals go from being a 4-6 injury-riddled team in 2015 to one that spends most of its time in the win column in 2016. “After all the injuries we had last season, we have been really looking forward to this season,” said Gergar. who echoed the sentiments of teammate/defensive end Eric Duguay, who sacked the Eagles’ athletic and elusive junior quarterback Isiah Williams four times in the victory. “Our defensive coordinator, Dwayne Tyler has a theory that ‘if everyone flocks to the ball’ our defense will get it done,” said Duguay, who sacked Williams at midfield to end the game as the clock ran out. Annapolis Area coach Michael Lynn, a former assistant coach to Dunbar’s very successful mentor Lawrence Smith before taking the job at AACS three years ago, was more than pleased with the way Williams played in what was his high school debut at QB. Williams dashed 34 yards in the second period to put the Eagles on the board, after the Admirals had taken a 14-0 lead by recovering a fumble in the end zone on their first play from scrimmage, with 1:17 left in the first quarter. Ben Bedard also had a TD pass to Darby Nelligan from 14 yards out. Severn had run off 19 plays before the Eagles got the ball. Joey Dixon pilfered a Bedard pass and returned it 45 yards to paydirt with 4:59 left in the first half and Williams’ 2-point conversion pass to Jared Heckert tied the game at 14. It would remain such, until Gergar’s first field goal that was set up by a long run from Tyrek Thornton, came in the third period. AACS took a 20-17 lead in the final period on a 48-yard TD pass from Williams to Heckert, only to have it disipated by the Severn defense and Gergar’s clutch play. “We knew they were going to be a good team and we knew we had to stop their No. 88 (Heckert),” said Gergar, who with his teammates contained Heckert holding him to the one TD reception. Coach Lynn summed it up best. 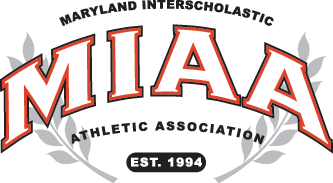 “Severn made the plays,” said the AACS coach.